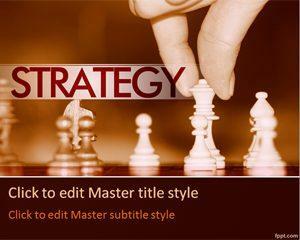 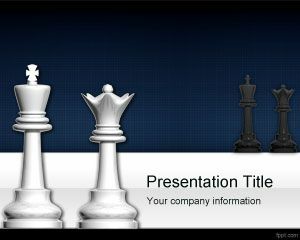 Free Chess Strategy PowerPoint Template is a free chess template for PowerPoint that you can download for games but also for business strategy, since chess is considered one of the most important strategy games. 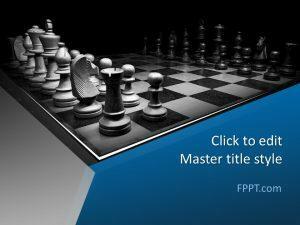 Playing chess requires some skills that can also be needed in business and management. 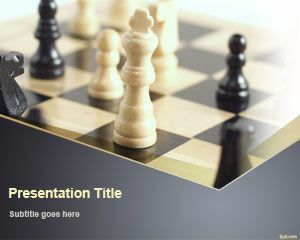 You can also download this free chess template for chess strategy presentations and top moves in chess games. 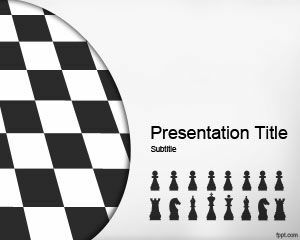 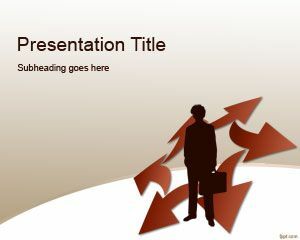 This free chess template for PowerPoint has a chess board design and chess pieces in the master slide design over a white background color. 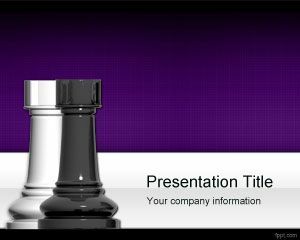 Alternatively you can download other free black & white PowerPoint templates and backgrounds for Microsoft PowerPoint 2010 and 2013.